At Fresh Coat, we understand the importance of scheduling! This holds particulary true for interior painting or refinishing work, as having a contractor inside your home can be an inconvienence. Our ability to provide flexible scheduling, around our customer's busy lives, is another reason why we pride ourselves with having great customer service. Here are a few of the aspects of flexible scheduling that we are speaking of. 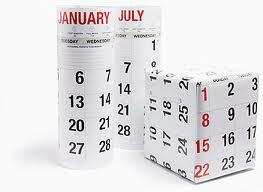 Starting / Finishing on Time: When we provide our customer's a calendar start date, we hold that date no matter what! We will not delay the project a week or a day to better accomodate oursleves. Our estimating and scheduling software that we use allows us to schedule our crews down to the hour, which means greater efficiency from a company prospective and greater timeliness from a customers' prospective. Puncuality: As with the starting and finishing dates, our crews will arrive when they are suppose to every morning of our projects. Our customers are not standing around wondering when we will be coming or if we will be working at all! Project Sequencing: During home renovations, when construction work (other than painting) is taking place, it is important to understand the proper sequencing of the different construction activities. We help our customer's through this process to ensure that the schedule is the quickest available and that the finished product is a quality one.